Social media is a great tool for creating some buzz before the launch of a new product. It works well for physical products but also for digital goods. It even works for startups who want to create demand before they launch. Read on to learn about the benefits of a pre-launch campaign using social media and how you can set one up yourself in a few steps. 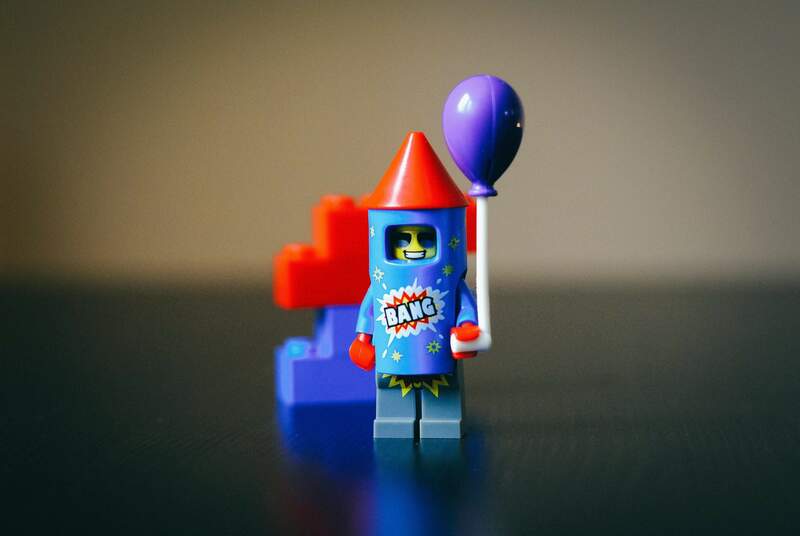 Make your next pre-launch campaign a success! Pull together the content using your hashtag from over 15 social media channels and display it on a social wall. There are plenty of reasons for doing a pre-launch campaign on social media. Most of them aim at generating sales in some form. A social media campaign helps you create buzz, and buzz creates more reach. An interesting campaign can reach people you may not have gotten to otherwise, and these people become potential buyers of your product. To create buzz, design your campaign in a way that will spark interest instead of immediately giving everything away. You need something that encourages people to engage with your brand and the product rather than just move on to the next post on social media. Some people enjoy being the first to know about a new thing and, eventually, to be the first to buy it. These are the people who will love hearing about your pre-launch campaign and to find out everything they can about it. You can also reward them by giving them sneak peaks and exclusive previews as a way to keep them hooked throughout the campaign. A pre-launch campaign is an easy thing to share for people who are already fans of your brand. It’s a great opportunity for them to let their friends know about how awesome they think you are. “Hey, check out this awesome campaign” is just so much more shareable than a random “hey, check out this brand I like”. When you drop only hints leading up to a product launch, curious people will start looking up your brand or follow you on social media to find out more. By engaging with your brand they will remember you better and potentially even become true fans. A pre-launch campaign is even better if you use it to collect pre-orders. You can create even more buzz with a waitlist for early access as it implies scarcity. Humans just love to be among the first or among the chosen few to get their hands on a product. Pre-launch campaigns also let you generate leads, which will be great for your marketing efforts in the long run as well. Give people the option to sign up to receive product updates via your newsletter and start building that list. Send product information and release updates to this list and build their relationship with your brand. Keep them eager and excited about your product launch with little tidbits and give them a little extra by offering them early access, the opportunity to win something, etc. All types of pre-launch campaigns aim to get you selling more quickly once the product is out. If you’ve already got people hooked, waiting and knowing everything they need to know about your product, they’ll be much closer to a buying decision. Setting up a pre-launch campaign requires creativity and smart promotion. First off, you have to come up with an interesting campaign that draws attention and creates suspense. Entertainment and humour are huge factors. And then, of course, you have to take the steps to get word about your campaign out and get it seen. A landing page or microsite is a great one-stop shop for any campaign. That goes for pre-launch campaigns as well. Set up a page where you tease the product, explain what’s happening (or not, if you want to be extra secretive), and update when there’s new information. Design the page like you would an ad and make it a compelling and interactive experience. And set up a Facebook page or event for the big reveal as well, while you’re at it. To tie everything in your pre-launch campaign together, come up with a hashtag for it. You can then use the hashtag to collect everything that’s been posted about your campaign and product on social media and even show it all on one social wall. Hashtags also make it easy for people to take part in the conversation. You can ask them to make guesses about the product or get involved in another way. To learn more about coming up with the right hashtag check out our ebook The Hashtag Bible. A hashtag and pre-launch campaign can create buzz but they won’t promote themselves. You’ll have to put some effort, and money, in as well. Create a series of online ads that drop clues about the upcoming launch but don’t give everything away. By creating more than one ad you’ll keep people interested throughout the time leading up to the launch. It’s up to you whether you choose to reveal more and more throughout the campaign, create a countdown to launch day or something else entirely. Just make sure to create suspense and heighten interest. Remember to also promote your campaign offline. Hashtags translate surprisingly well from print materials to online as they’re easier to remember than bulky URLs. One way to help your campaign spread is to reward people for sharing it. You can do this by running competitions and sweepstakes that people gain entry to with every share. So, for example, every time I share your campaign with someone I get one more entry into the prize draw. The more “entry tickets” I have, the better my chances to win are. Apps like Gleam easily let you set up a sharing widget and track whether users have completed the necessary steps — whether that’s someone signing up with a referral link, sending someone an email invite or sharing on social media. You can also reward people for sharing your product using the hashtag. Another option is a milestone referral programme, the way New York-based grooming brand Harry’s did leading up to their launch a few years ago. YT Industries is a German mountain bike brand. When the company unveiled its first trail bike, it did so with a pre-launch campaign that told people nothing about the bike and everything about the emotions its launch would cause. The brand set up a teaser campaign using a microsite with a countdown timer, some hashtags, as well as print and online advertising. The launch of the campaign was a video in which a woman talks about how much she hates JEFFSY, contrasted with her boyfriend’s statement as to how much he loves JEFFSY. 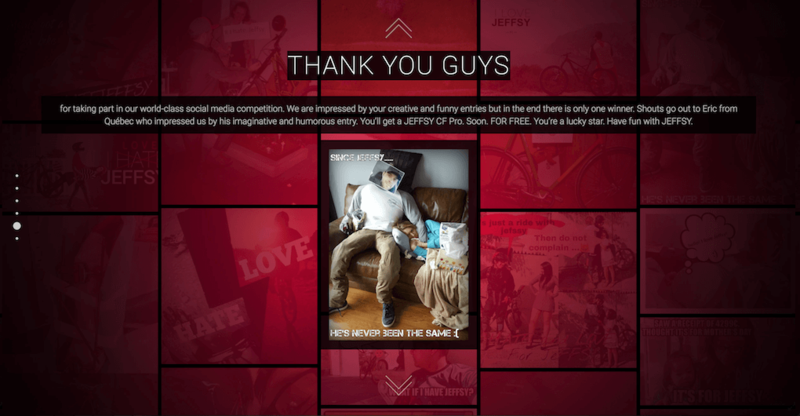 For weeks, YT Industries didn’t say anything about who or what JEFFSY was but encouraged fans to use the hashtag #IHATEJEFFSY, promising the best entry would win one of the as-of-then mysterious JEFFSYs. #IHATEJEFFSY was YT’s first hashtag campaign, so we wanted to know more about how you can use hashtags to generate buzz for a teaser campaign. We asked Martina Bogott, Online Editor at YT Industries a bunch of questions about how the campaign came to be and how it went. Why did you decide to create a pre-launch campaign? We’re a direct sales company selling our bikes through our website. The internet is our most important communication channel. We wanted to launch our new mountain bike JEFFSY with a bang and generate interest in our product. When we were brainstorming the campaign, it was quite clear that we wanted to do something using social media. We wanted our fans to be a part of the campaign and the debate, so we chose to work with hashtags. Our web developer searched for social walls and tried some solutions. In the end, we made the decision to use Walls.io for our campaign. How do you run and promote a hashtag campaign when you can’t say what the campaign is actually about? Actually, it wasn’t that difficult. We only produce mountain bikes, so people usually know more or less what to expect from us. We started the campaign by first encouraging our team riders to post the pictures on Instagram, Facebook, and Twitter. Some YT employees followed suit and then other people started posting photos with the hashtag #IHATEJEFFSY. We built a microsite, and the social wall was a major part of that. It was the center of the campaign. Simultaneously, we set up the JEFFSY competition and called for entries: the best and most creative photo posted with the hashtag would get a JEFFSY for free. So even though people didn’t know what JEFFSY was, they were curious to get to know JEFFSY — and to win it. How did the campaign go? Are you happy with it? We are very happy with the outcome of the campaign. People were taking part in it and even the mountain bike media gave us feedback, saying how excellent and outstanding our campaign was. To sum it up: The whole campaign was a huge success and we are very happy with it. Pre-launch campaigns require a lot of planning to succeed, but if you do it right, they can be a lot of fun and have a great impact on your product launch, your crowdfunding campaign or your company launch. The most important part is to be interesting and to create suspenseful entertainment that grabs people’s attention. YT’s campaign really shows how a polarising message that doesn’t tell the whole story yet can really create suspense in a pre-launch campaign. Asking people to give their opinion about something they love or hate works wonders to get them to take part. Getting your own people, as well as influencers you have access to, to start using the hashtag first is a good way to kick things off and makes it easier for others to take part as well. Of course, the potential reward of winning a bike also hugely impacted people’s willingness to create content and share the JEFFSY campaign. Create a social wall for your pre-launch campaign!